What better way to enjoy the changing season then by visiting the Barn for a wagon ride to the “Back Forty”. 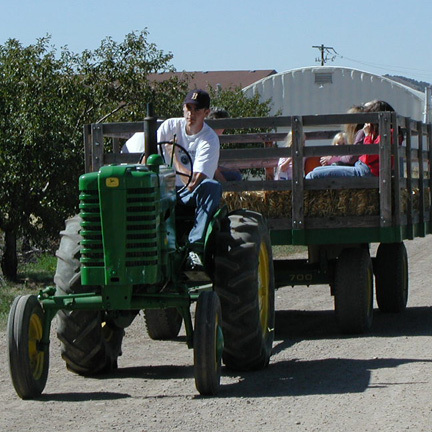 Our wagons takes you on an enjoyable tractor pulled ride through our fruit farm on the way to the activities. 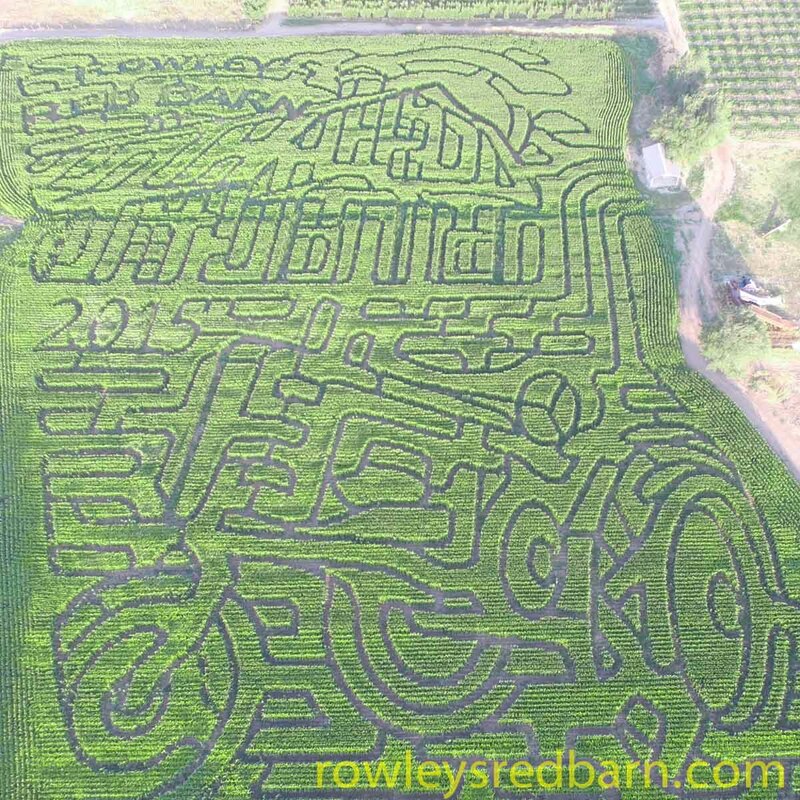 The Back Forty includes a ten acre corn maze, a six acre pumpkin patch and a large play area where you will find the pedal tractor racing, giant slides, apple cannons, a sand box, a hay pyramid, jumping pillows, zip lines and many photo opportunities. 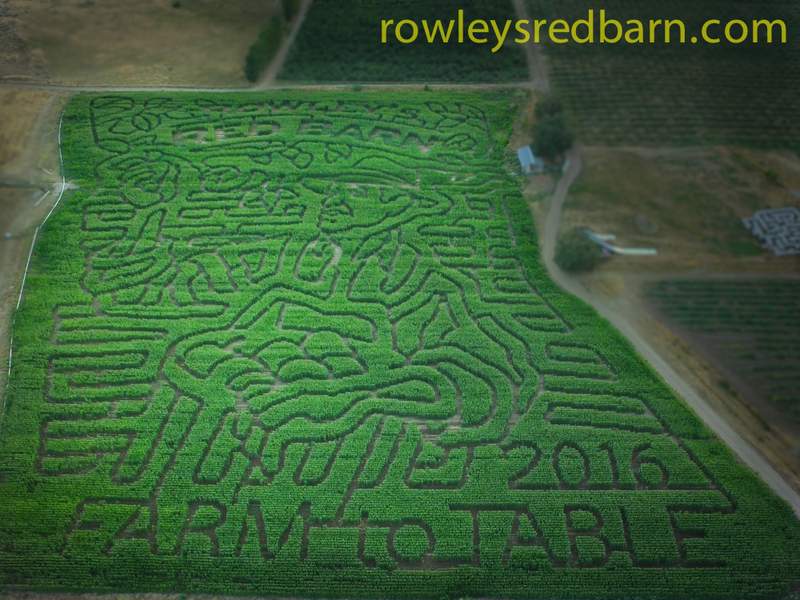 The Back Forty has acres of pumpkins for you to wander though in search of the perfect pumpkin for your jack-o-lantern. Mondays – Fridays from 3:30 P.M. – 8:45 P.M. with the last wagon leaving the barn at 7:30 P.M.
Saturdays from 10:30 A.M. – 8:45 P.M. with the last wagon leaving the barn at 7:30 P.M.
Hayrides begin September 22, 2018 running thru October 30, 2018 Hayrides leave every 15 minutes. 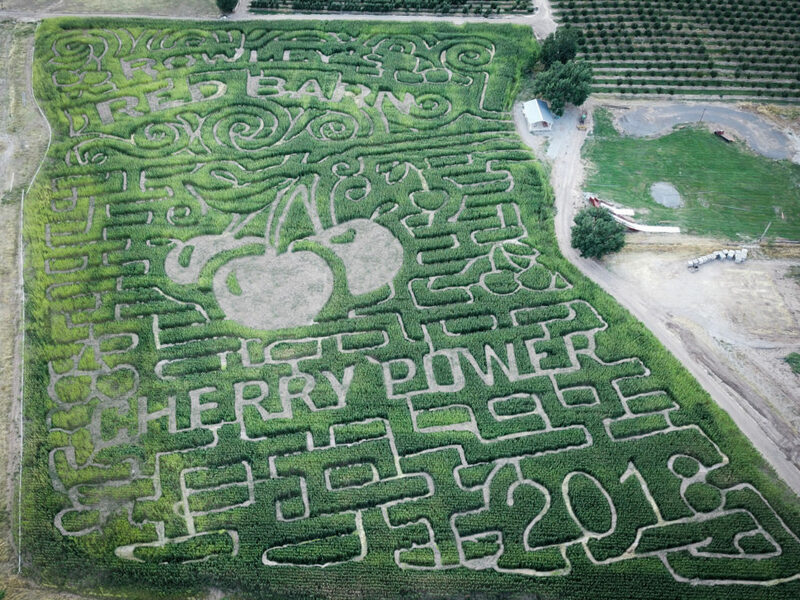 Special hours for October 18th and 19th will be from 10:30 A.M. – 8:30 P.M.
Special hours for November 3rd will be from 10:30 A.M. – 6:00 P.M.
All Day Admission is $9.00 per person. 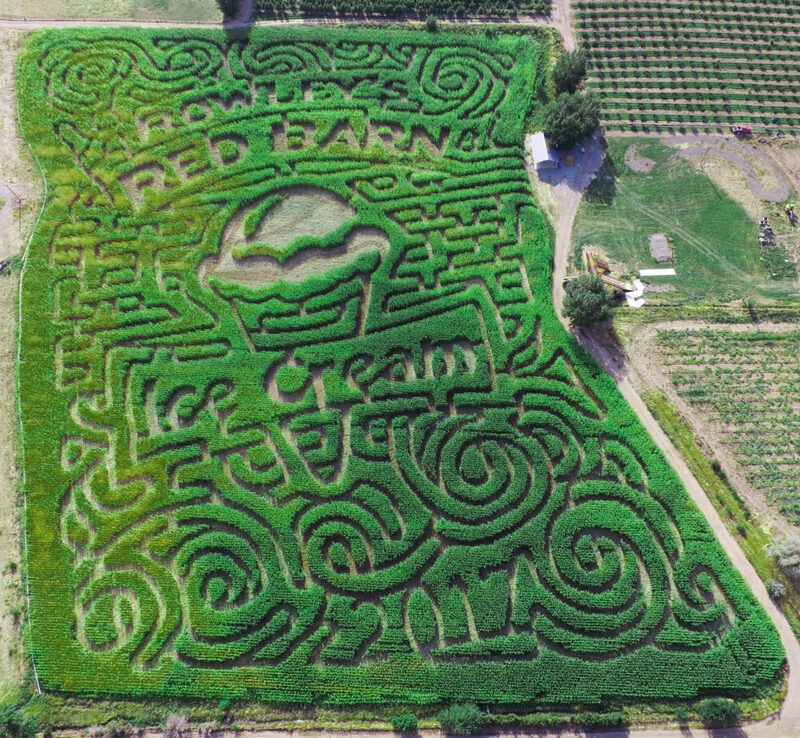 Admission includes… a wagon rides to the “Back Forty” and back to the Barn, corn maze, pumpkin patch, apple cannons, giant slides, race tractors, hay pyramid, tractor train, giant sand box, jumping pillows, and zip lines. Children under the age of two are free for the ride and all activities. All people that have paid full admission will be able to buy one pumpkin that is any size for $5.00.